Follow our 3 Fruity Facial tips and ban-ana those pesky pores! Cleansing and toning on a dirty face is like showering and then putting your Sunday pjs back on! 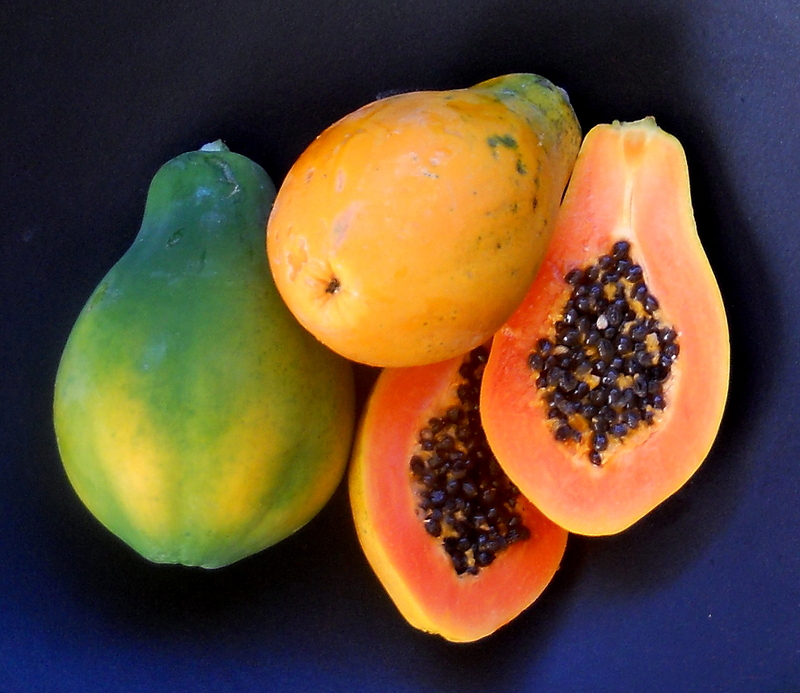 Papaya is a magical fruit, it’s acidic qualities remove all trace of dirt. To really exfoliate and get scrub those pores clean try this…. Mix all the ingredients in a bowl. Apply in sections on the skin. Rub in circular motions to help release stubborn dirt. Handy Tip: Wash your hands first! Mix the ingredients by hand to get beautifully soft exfoliated palms. Cleansing is simple, it’s cleaning the surface. Cucumber’s soothing qualities act as a natural and easy cleanser. The Juicy secret: Juice the cucumber, peel for a smoother juice. Add the mint to the juice and leave to soak in the fridge for 30 mins. Once cool, remove the mint and apply over face like a facial wash. Cute Tip: Save 2 slices for your eyes, this helps relieve puffy, tired bags. Leave when you apply the moisturiser section! Step #3 Man-go wild for this toner! Tone down the flare ups with this natural toner. This natural remedy packs a punch and will even remove fake tan so getting rid of spots is simple no pimples! Tone it down tip: Add Milk or almond milk to the minute to give your fresh face a little moisture. Loved this fruity flare to skin care? Leave a comment below and let us know what step you found most effective.